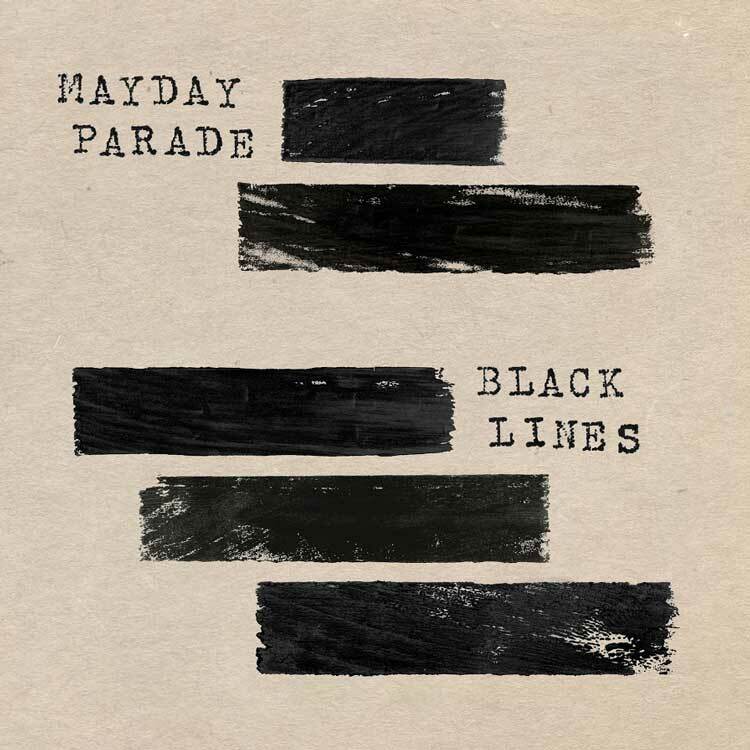 Last Friday, Mayday Parade's new album, Black Lines was released. It's their fifth album, and I always like seeing how a band's sound develops over the years. This album does not disappoint, so I thought I'd run through my favourite tracks. I really like Letting Go. The introduction gripped me straight away, with the acoustic guitar followed by the soft vocals. I think the lyrics compliment the central guitar line beautifully and I love how it builds up but never goes too far or gets too loud/layered. It's the perfect balance. The intro of Let's Be Honest sells it for me, just as Letting Go does, but with a very different vibe. And it just gets better and better throughout the song. I always find myself really liking Mayday Parade's lyrics and becoming attached to certain phrases, and there are some great ones in this song. Narrow is a stunning ballad. It's very chilling until about half way through when the electric guitar and the drums come in, and the vocals get stronger, adding more and more to the overall sound of the song. This section is only short-lived though, with the initial tone of the song returning in the final few seconds. Like Narrow, Look Up And See Infinity, Look Down And See Nothing also feels chilling, with a strong sense of atmosphere created; I think it would sound incredible live. It's probably my favourite song on the album. The way the electric and the acoustic guitars seem to be communicating forms the most beautiful interaction of sounds. I really love it. The lyrics 'I'm lost and so afraid of what's the come' sounds how I feel most days. All On Me is initially fairly haunting, and in a sense that feeling lingers throughout. It's very dramatic and quite tragic. And I think it's that element that makes me think a lot of the band's previous albums, as there's always one song that shouts out particularly loudly to listeners. That song is this one for me. Until You're Big Enough is such a relatable song. I think anyone could connect with this track in some way. I love the soft parts and how they blend into louder sections. I like the concept and the instrumentation seems so fitting. This is up there as one of my favourites on this album. 'I've just gotta tell you one last thing' is such a brilliant lyric to begin the last song on an album. One Of Us sends the album out on a bang; I love it. It seems like a real sing-a-long one, and I'd love to hear this live. A perfect ending to a really great album. Having finally heard this album, I'm looking forward to the Black Lines tour even more, and can't wait to see the band in January. You can find the album on iTunes here if you'd like to have a listen.